Tom Carroll has lived in Andover for over 12 years with his wife and four children, all of which attend the Public Schools and participate in community activities. Tom has also served on several town committees and is a recent past president of the Service Club of Andover. Tom Carroll is a Certified Commercial Investment Member (CCIM), a Certified Residential Specialist (CRS), a Certified Buyer Representative (CBR), a graduate of the Realtor Institute and holds a Mass. Builders license. Tom was also past President & Founder of the Northern Massachusetts Commercial Investment Board of Realtors and a member of the Finance Committee of St. Robert's Parish. Over Twenty years of sales experience and 12 years with RE/MAX is why you get results with Tom Carroll. 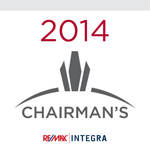 In recognition of hard work and dedication, Tom Carroll was welcomed to the RE/MAX Chairman's Club for outstanding sales in 2014! Rick Coco brings more than 38 years of experience in the real estate industry in the Merrimack Valley & Southern New Hampshire, serving both Andover and North Andover, as well as Methuen, Haverhill, Boxford & Lawrence. 24 of those years have been at RE/MAX, with 13+ years as a Broker/Owner. A Certified Relocation Professional, Certified Buyers Representative, and a Graduate of the Realtor Institute, Coco serves as a member of the board of directors on the Methuen Historical Society. He was a Vice President of the Historic District Commission and served for a number of years on the Board of Directors for the Northeast Association of Realtors. Rick is a strong listing agent, but still enjoys working with buyer clients as well.